During my Purdue University a few weeks ago that I previously mentioned, I was interviewed by Purdue's student run news network Fast Track News. Check out the well done video interview by Bram Wahl where I share social media insight and explain the new AIM product. This is just the minute and a half story that will air soon. Social or community powered search has been attempted a number of different ways but Delver, an Israel based startup, looks to leverage users' social graph to create relevant social search results. I got a preview of Delver at DEMO08 and again at the 2008 IsraelWeb Tour. Delver recently launched its open alpha product for all the World to use. Delver offers web, media and people search function. My first impression: Interesting. Where do you usually find out about a new book to read, a new song to listen for or even a game to play? I think most of us would say we find new things through our friends and social interactions. LivingSocial, a DC-based startup created by the Ruby on Rails development shop Hungry Machine, is looking to help with similar social recommendations. 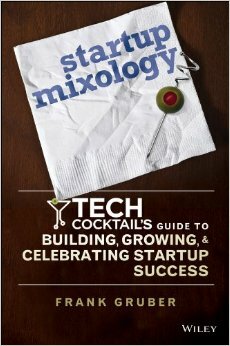 Started as a Facebook application, LivingSocial offers a handful of vertical recommendation sites (books, food, music, movies, beer, and games). Leveraging the Facebook social graph LivingSocial claims to have 6.4 million beta users, who have collectively reviewed nearly 80 million items since February. Social networking and media have been quite a hot topic for the last few years. I think humans are generally social in nature so the social networking phenomenon online plays into human nature as social networking tools have evolved online. For example, there have been a number of "white label" solutions like Ning, Userplane, Drupal and Kickapps just to name a few that offer out of the box social networking solutions. I will be moderating a panel at the upcoming Graphing Social Patterns East conference next week discussing white label social networks with some of the leaders in the space in a session titled, From Zero to Community in 60 Seconds: White-Label Social Networks. If you have a question you would like me to ask the panel please submit it in the comments section below. How Does Friend Connect Put Users In Control? 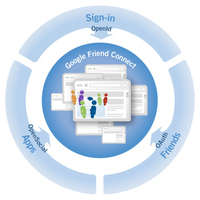 How Does Google Friend Connect Put Users In Control? Please let me know your thoughts in the comments section below if you have a SOMEWHAT FRANK opinion. Xobni, the social email plugin for Outlook, which I highlighted previously has finally opened its doors as a public beta. I initially had some private beta invites that went very fast but I continued to receive inquiries. Now you can get your own copy of the latest Xobni product and test it out for yourself. These are also unconfirmed rumors that Microsoft is bidding to acquire Xobni so it would not be far fetched to think that Xobni could be integrated directly into Microsoft Outlook if the rumor becomes reality. Do you remember when online forums were the cutting edge in online community building tools? While forums still have a place on the Web there are so many richer community building experiences. Forums are still being used and Twing looks to bring them up to par by aggregating online forums. Twing offers a forum search and adds community features to surface the 'hot items' in the forums. With the popularity of text messaging and the rise of Twitter via mobile there is a growing trend for find me/follow me mobile applications. FindWhere, a Sterling, Virginia based company, has just launched an application called Livecontacts to help you find and keep track of your buddies. Users can now share their location and track their friends’ locations for free. Livecontacts is taking the same approach that craigslist took to democratize the online classified advertising space by offering users what is traditionally a paid geographic data service for free. I am a taggaholic. I love to tag items in Flickr and across the Web. I even find myself sometimes tagging other peoples photos and online content. This would not be possible without "folksonomy" and recently got to watch Thomas Vander Wal present at AOL as part of the AOL Developer Network Speaker Series. Thomas Vander Wal invented the word "folksonomy" and knows a thing or two about the social web. It's more than just today's social networks - it's layers of interactivity, circles of sociability, reputation and identity. 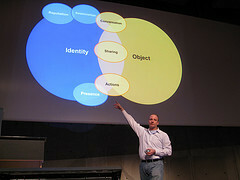 He also shared his thoughts on the spheres of sociability, social objects, and the path to get users to fully embrace creating and sharing social objects. I got a chance to talk with Thomas after his presentation and it is episode 20 of SOMEWHAT FRANK TV. Lifestream.fm recently launched into beta, so far I have to say, this is the best “life streaming” service I have found. However, it has tough competition with FriendFeed, SocialThing, and others. Lifestream.fm offers users the ability to aggregate numerous services such as Del.icio.us, Twitter, YouTube, Flickr, Vimeo, Pownce, Tumblr, and many others. It also allows you to aggregate numerous RSS feeds. As reported on TechCrunch earlier this week, Facebook is working on a chat functionality. They held a press conference today and TechCrunch recorded this exclusive video demo of Facebook Chat. The presenter in the video is Peter Deng, the product manager for Facebook Chat, who made it clear that this is a preliminary version of the product. Facebook Chat appears to be something that available when you are on Facebook with the ability to turn it on and off. Caroline McCarthy also offered some additional Facebook IM details in her report on The Social which offered the photo below. Video: What's Up Next For BricaBox? Brica Brica What? BricaBox, the social content platform which I covered previously here and here, that launched a few weeks ago offers users the ability to display structured content with social features. After many attempts I finally got a chance to sit down with BricaBox founder and CEO Nate Westheimer while attending FOWA Miami 2008 which is the latest SOMEWHAT FRANK TV episode. You can subscribe by visiting SOMEWHAT FRANK TV. AOL buying Bebo for $850 million was a pleasant surprise to wake up to this morning. Wow! I think this is a smart move for AOL as Bebo is currently the third largest social network on the Web behind Facebook and MySpace. With AIM offering one of the larger social graphs on the Web but a turnstile of online social networking profile site attempts in the last two years it looks like AOL has finally decided to invest externally in a solution with a lot users and page views. This just adds to the a number of other acquisitions that recently occurred in the social platforms group which include Goowy and Yedda. 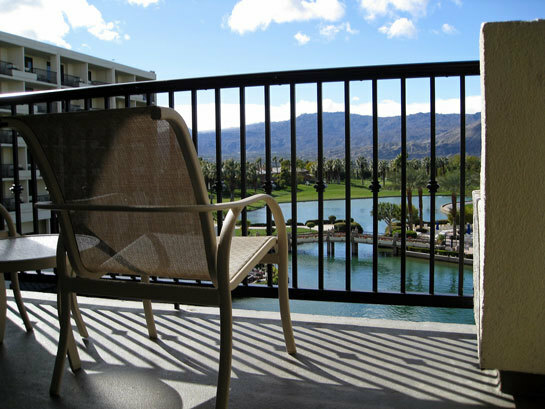 Photo of the Week: This week I spent time at the DEMO08 conference in Palm Desert, California and I snapped this shot from my hotel room balcony.